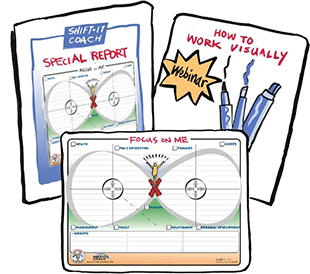 I’ve operated my own facilitation- coaching-training biz since 2001. When I made the leap to the independent lifestyle, I was excited but scared as heck. Along the way I have learned A LOT not only about how to survive running a process based business but how to thrive doing what I love. For years I’ve mentored others in how to do the same through private coaching, partnering and various courses, particularly the longer-term masterminds. 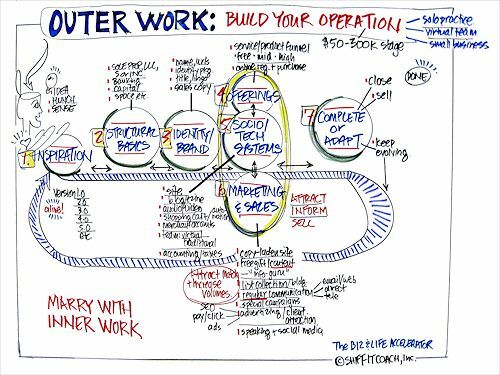 In today’s article, I want to share with you what I’ve coined my “Outer Work Model” … the seven stages for building a process based operation in the 50-300K range. It all begins with Inspiration … the idea, hunch or urge that niggles at you … the thing that wants to manifest through YOU. If you are new to self-employment or entrepreneurship, it’s the craft, practice or business that you want to launch (even if you are apprehensive, nervous or downright scared … and don’t know yet how to do it). If you are already in business, it’s the thing that now wants to be birthed … the evolutionary whisper, rumble or shout that urges you to change, transition, or revamp; even though, or sometimes because, you inhabit a nice comfort level … but part of you doesn’t want to stop there because it knows there is more for you to evolve to and it wants you to GO FOR IT! Embedded in Inspiration is rich data about your emergent Identity and Brand – who you are as a practitioner and leader and what your ‘IT’ is. This stage can take some time, so it’s important to be patient and let the creative process do its work. After wrestling (and doing good exercises of assistance) you extract what your business identity truly is (at this point in time) You realize how authenticity, congruency and ‘being who you really are’ serves not only your soul but powerfully attracts your Ideal Client too! With a clear identify and brand (or at least clearer … cause you must get used to acting before total perfection sets in) your focus now turns to the Structural Basics that create a secure foundation for your business. The legal, banking, bookkeeping and accounting “Must Haves” … that create a strong girding for the services and/or products that you offer your Ideal Clients. Decide on a beginning biz structure (sole prop, LLC, Inc.), where to bank, find appropriately skilled bookkeeping & accounting professionals to assist you … all the basics that you’ll need to conduct biz from. Through this process you will develop the sense of your biz being a separate entity from yourself (because it is!). Again, you must exert patience as you likely will not be able to instantly do everything that you want to … building a proper sales funnels takes time. Start with the obvious, low-hanging fruit. What are the one of two services and/or products that you can immediately focus on? Then strategically continue to add to those over time. New offerings emerge from your client base, as knowing your market impacts what you offer them next because you intimately know what they need and want. Yes, you have built Structural Basics into your Business but you also must consider the role of Socio-Tech Systems too — the people (virtual contractors or in-person employees) and technology that help you effectively serve your clients (web tools: sites, blogs, stats, security, software, hardware, payment options, automation aids, etc). Where you play (or want to) on the 50-300 scale determines the extent of the people and tech systems you need. Like offerings, start simple and build from there. You don’t have to do it all this Red Hot Minute … chill and take an evolutionary approach to your system building. The size of my own operation and team has snuck up on me over time … gently growing alongside my offerings (and very connected to my own personal development as a practitioner and leader … change happens first on the inner then manifests on the outer). For some these are dreaded words … and I was a bit leery of them too when I began. But FYI, Marketing & Sales is a necessary part of any business and from personal experience I can assure you it can also be fun and enjoyable (even for those who are naturally shy). It’s a matter of starting exactly where you are and with those in your immediate network and branching out from there. Plus, in this incredible day and age there are wonderful tools that no other generation in history has had good fortune to have at their fingertips (the internet and social media!). Old school ways still work, however if you have web or tech phobias you must deal with them or at least partner with people who are comfortable in these realms – otherwise you will miss out on incredible ways to link your offerings up with the folks who truly need them. Alternatively, it may be time to bring a ‘conscious death’ to your biz if your inspiration has run dry. Far from taboo, the discussion of the death of your biz could lead to the birth of a new one, or blossom other areas of life instead. The seven Outer Work stages I have just outlined are essential and practical … however there is a secret sauce that runs underneath all of the others. And that is the cultivation and nurturance of a Positive Mindset and the stance of Resilience. However, you can’t allow that to fester and keep you from implementing your steps. You must learn the art of emotional mastery … how to accept your emotions yet also how to effectively move yourself up the emotional scale so you don’t take yourself out before you have even begun. Such a shame if you allow your fears, resistance and discomfort to keep you from getting your “IT” out there … as our world needs as many aligned, productive and successful Process Professionals as it can get! From my own experience I can tell you that nothing beats the sweet feeling of having faced your dragons and done it anyways! There have been many times when things felt scary, confusing and overwhelming, but having this model and consistently implementing it have got me to where I now am (and to the phase my company is now going through … moving from primarily an online biz to brick & mortar (creating an office hub here in Victoria with in-person employees in addition to our wonderful online team). For those that this article speaks to, I say ‘go for it and keep on going’. Hopefully I’ve given you some ideas and some inspiration in these paragraphs to feed you on your path. 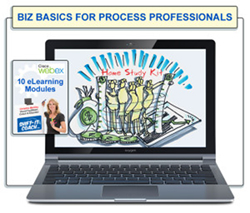 New 10-Module eLearn Course: For more in-depth mentorship on how to build your 50-300K practice, check out: Biz Essentials for Process Professionals. 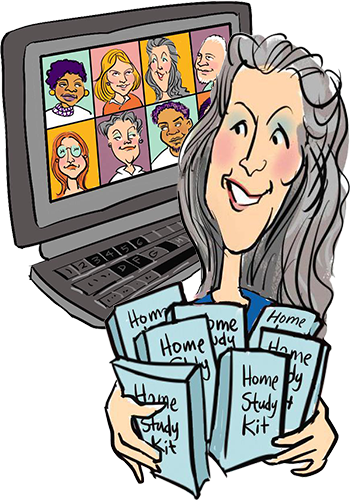 Fully online and available 24/7(so you can take it from the comfort of your own location no matter your geography or time zone).